Very Good. 2014. 1st Edition. Paperback. Clean copy in good to very good condition......We ship daily from our Bookshop. Very Good. 2002. 1st Edition. Hardcover. 352pp. Keywords: "Government & Politics, Social Sciences". Not a first edition copy.....We ship daily from our warehouse. Very Good. 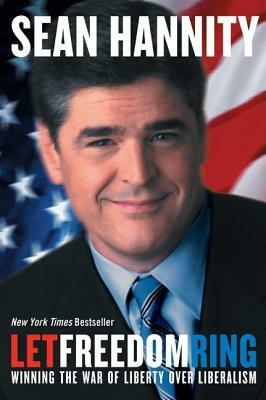 Let Freedom Ring: Winning the War of Liberty Over Liberalism by Hannity, Sean. Sewn binding. Cloth over boards. 352 p.
New. 0060514558 Ships from Tennessee, usually the same or next day. Fine. 0060735651 Ships from Tennessee, usually the same or next day. Fine. 0060514558 Ships from Tennessee, usually the same or next day.